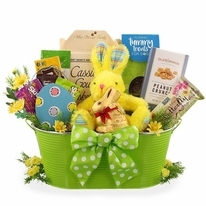 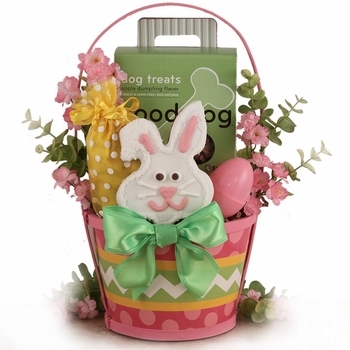 Don’t forget your favorite pooches this Easter; you know just how much they love rabbits so don’t disappoint them and send them a dog Easter basket. 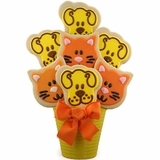 Inside they will find a hand decorated and freshly baked Easter Bunny biscuit that they don’t need to chase but are allowed to enjoy! 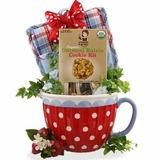 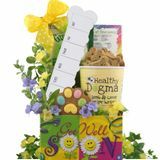 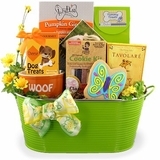 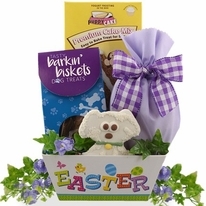 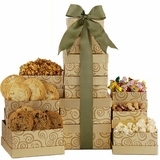 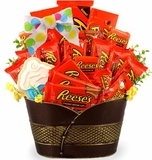 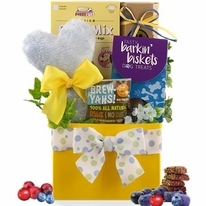 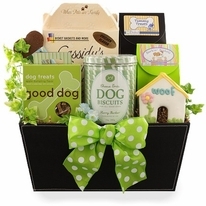 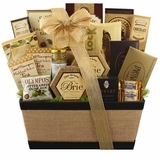 A doggy Easter basket filled with all kinds of crunchy gourmet dog biscuits just for them.